As Australia’s aged care sector straps itself in for an 18-month royal commission, providers have pledged to co-operate “fully and transparently to achieve the outcomes we all want”. 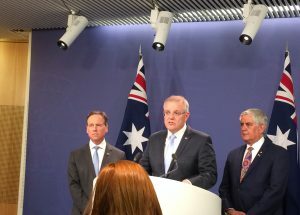 Prime Minister Scott Morrison has warned the nation to “brace itself for some difficult stories” as he revealed the terms of reference for the aged care royal commission. If history is any guide, the Royal Commission into the aged care sector will focus on systemic issues rather than the role of a few bad apples, write Ian Holland and Lisa Fenn. As the banking industry licks its wounds following the recent royal commission, there are some sobering lessons for aged care providers, writes Gerry McCusker. A law firm has prepared a fact sheet designed to help you understand the powers and processes of a royal commission as well as your rights and responsibilities while it is underway. A group of legal academics believes the aged care royal commission is likely to expose a range of human rights protection gaps and write that both a broader focus and a human rights-specific reference is needed. 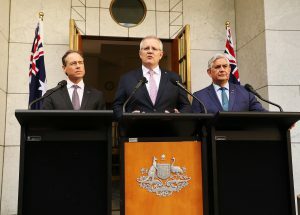 The aged care royal commission will not be extended to include institutional and residential care for people with disability after a motion to widen its terms of reference was voted down in the Senate. After intense scrutiny, several government inquiries and reviews and major legislative change, the aged care sector is now the subject of a Royal Commission. 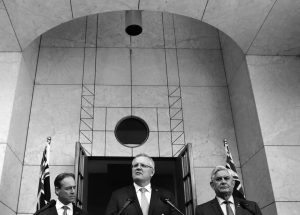 The scrutiny will increase exponentially in the build up to, and during, the Royal Commission and providers must prepare accordingly, write Nick Albrow and Peter Wilkinson. The head of a leading aged care provider has expressed frustration over the announcement of a Royal Commission into the aged care sector, saying it is a “shame” things have reached this point. Aged care providers say they don’t fear scrutiny or accountability and have vowed to participate in the Royal Commission into the sector in the interests of a stronger and safer aged care system.